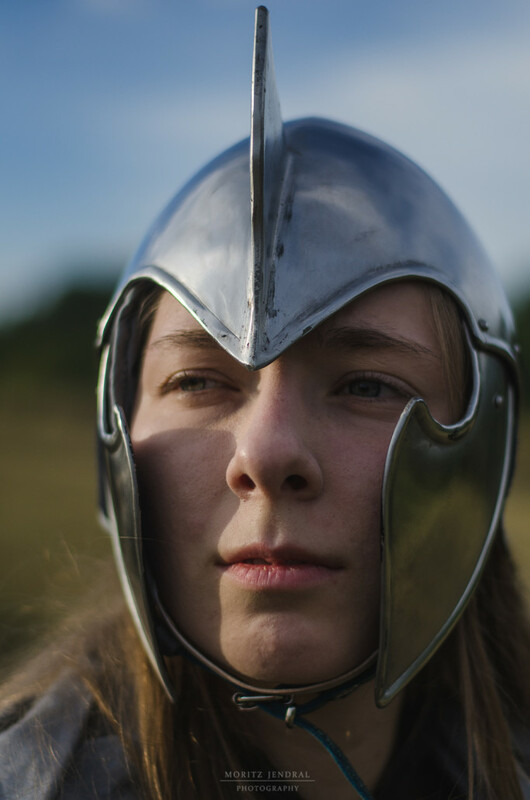 The Armour surcoat I made for this summer’s Epic Empires quickly became one of my favourite pieces of Costume. 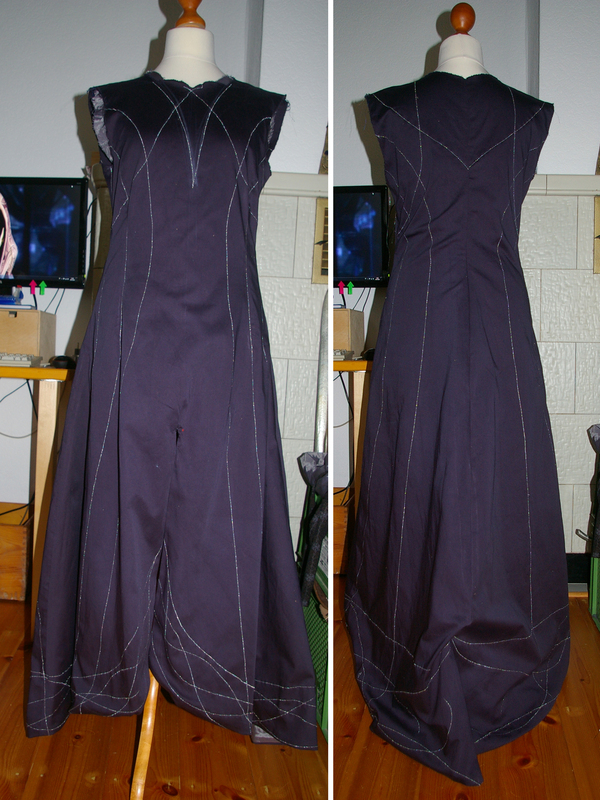 I have not managed to take good pictures of the finished surcoat, so here are some WIP photographs. 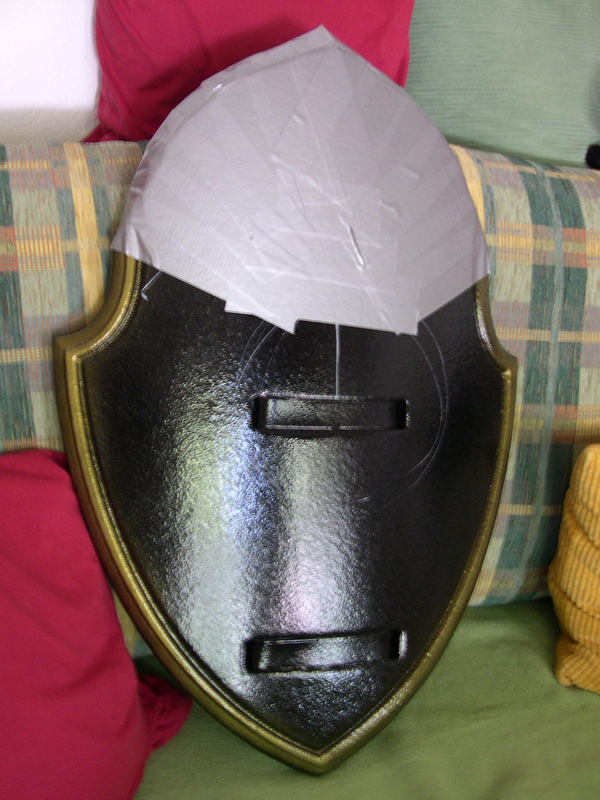 The surcoat still lacks clasps here, and the sides are not yet closed. But all the embroidery, the leather and the lining are already finished. Every time I go hiking I end up thinking: You could do a great costume shooting, with all those beautiful mountains. So this time we packed a dress, stopped on a moor that’s right on a seaside cliff. It was Cyranil’s first time as a photographer, and we underestimated a lot of thing. Like the wind, for example. Ever tried posing for a photo while you are literally being swept off your feet? 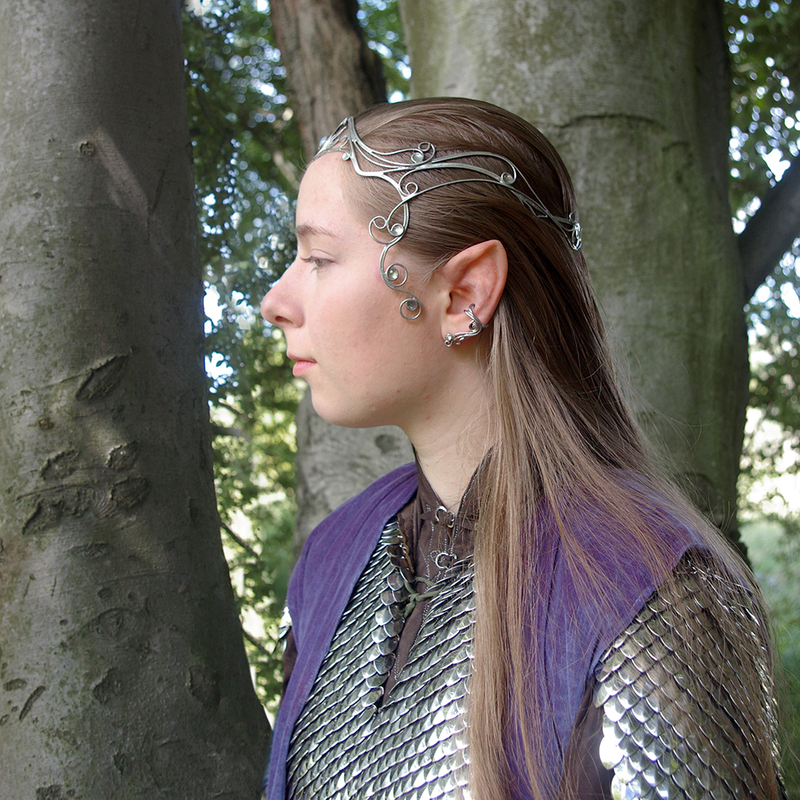 This dress was made by Celefindel creations a few years back, I made her an elven battle dress in exchange. 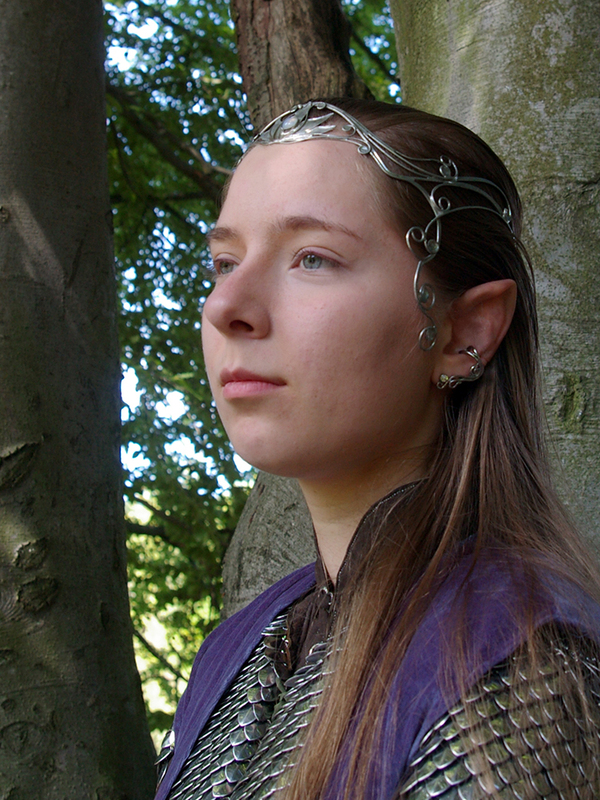 I’ve had it with me on most Larps, but since I mostly wear armour, there have been no photos until now. Today I finished the Satin tunic I started a few weeks ago. I have loads of robes and stuff, but I had only one basic tunic until now.